Can’t stand the heat? Control the cost. Domestic fuel bills have been on the rise for more than a decade and with prices expected to increase into the medium term, more and more people are looking for ways to help manage their heating costs. At A M Bromley we’ve developed a simple, low-energy, low-cost way for homeowners to control their heating usage. Celsia is a battery-powered, completely wireless zone control product that is easily integrated into most heating systems. 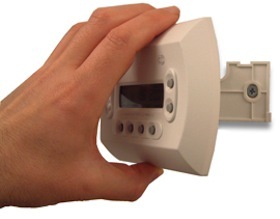 It uses low power radio communication to display and remotely control the temperature in rooms or zones throughout a building and can be connected to any number of heaters. The standard temperature cycle has been replaced with an intelligent proportional system that gives more stable room temperatures which means homeowners save more energy. You save money – the single combined PCB component reduces manufacture, administration and support costs. Your customers save money – get the edge on competitor products that don’t include our technology. 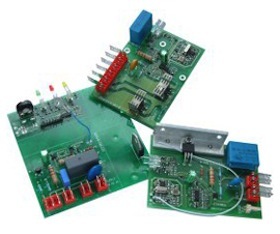 We design a bespoke control PCB to meet the requirements of each heater system. Examples of control PCBs for electric heaters.